mommy's reviews: Perfect Weather Calls For A Perfect Patio! With all this gorgeous weather we have been having here lately, I am really spending a great deal of time outdoors with my children. Both of them just blossom when they step outside and the fresh air does so much for them! One problem that has always been a part of our lives here is that we do not have a patio. I have a porch on the front of the house but it is not covered so I cannot go out all the time in rain or shine. We do have a large Crimson Maple that overshadows the porch and makes a beautiful place to sit in the shade. Over all, I don't complain. But a patio, a place to sit and enjoy the weather...would be fantastic! Recently, I discovered everypatiofurniture.com. This store is a division of Cymax stores and has some really lovely pieces of furniture to consider. They carry everything from outdoor day beds to swings, to bistro sets! WOW! I have always been a fan of wrought-iron patio furniture. It looks rustic, yet classy enough to dress up the patio. This set pictured above would look so lovely in my backyard. I can very easily picture our family gathered around the table enjoying a yummy picnic lunch. I also love how it seats 6 people and looks really sturdy. 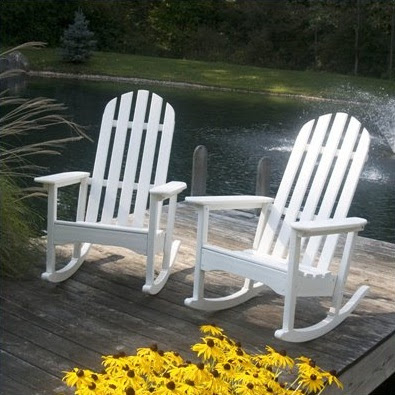 Another great option for a cabin-themed porch or patio would be a great set of Adirondack chairs. Nothing says "Grab a glass of fresh iced tea and have a seat" like these lovely pieces! I am especially fond of the rocking chairs...they look so inviting! The color is great too...I love white! 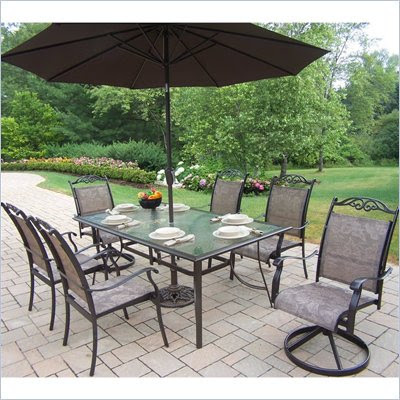 So, if you are in the market for some new patio furniture, I would definitely recommend checking out everypatiofurniture.com for some great options. They certainly have a wonderful selection that will suit a variety of tastes and looks. I would love to get new patio furniture. Wow they have a lot of really nice stuff. I love those Adirondack chairs. Looks so relaxing! We have some plastic Adirondack chairs that are in need of upgrading.. The ones from Cymax look amazing! I have seen this company before. They have such nice things! 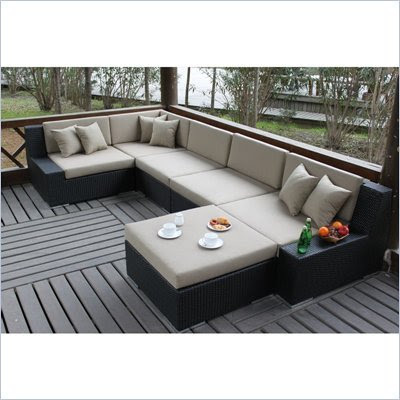 Gorgeous patio furniture, definitely makes me excited about the summer and spending some time outdoors in the sunlight! Ohh I love the Adirondack rockers! SO fun!